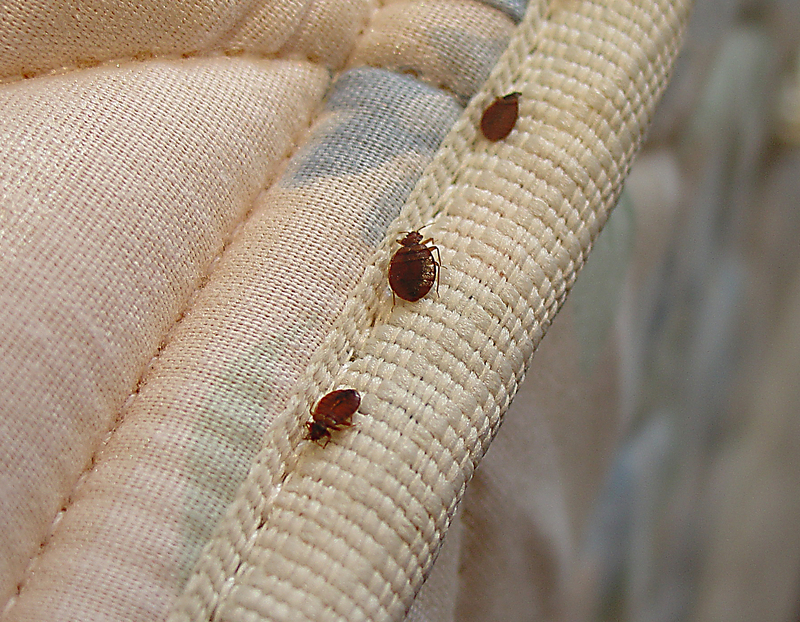 We are currently witnessing the massive return of bed bugs People are traveling more than ever, allowing bed bugs migrate to new areas through clothing or baggages. Therefore, it’s necessary to take precautions while traveling to avoid bringing them back to home. Avoid bringing your pillow, it offers bed bugs another hiding place and the opportunity to travel back with you. Bring with you large bags of plastic, to seal your belonging during travel. Do not put your luggage on the bed. Place them on a tiled surface (eg in the bathroom), away from padded surface (soft) or put them on the luggage rack you have previously inspected (including the attachment points of the straps on the frame metal). Do not put your clothes in the drawers. The headboard is often anchored to the wall, but easy to raise. Look behind, bedbugs finds a privileged sanctuary (near the bed, but away from the constant motion multiple bedding changes from the cleaners). Inspect the inside of the closet with particular attention to cracks and crevices. During your stay, keep your shoes in an open space. 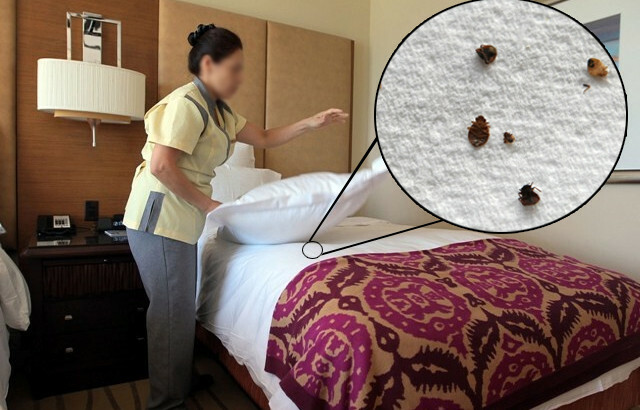 Do not store anything under the bed, if you find bedbugs trace, immediately report to the reception and demand another room or change hotels. If you choose another room in the same hotel, make sure that it is not adjacent to the potentially infested room. One trick: Lavender oil acts as repellent to bedbugs or lavender linen spray or this recipe of linen spray (mix witch hazel, lavender essential oil and water) bring some with you. Before getting your luggage inside the house, place them on a hard surface, away from any place where bed bugs could crawl and hide. Then, inspect them carefully. Get out your clothes and inspect your belongings (hairbrush and makeup kit for example). Wash all your clothes and fabric items in hot water, whether you have worn or not. Heat non-washable items in the dryer at the highest possible temperature for 30 minutes. Vacuum your suitcases. Immediately dispose of the vacuum bag in a sealed plastic bag. Clean brushes and vacuum cleaner accessories used with hot water and detergent. In terms of bag-less vacuum cleaners, empty the contents of the tank in a plastic bag and seal it before putting it immediately in the external garbage can. Wash the dust tank with hot water and detergent. Some people are changing in the garage or workshop before entering the house. They took care before traveling, to prepare a set of clothes for their return home.